Living in the Front Range has its advantages. Within an hour’s drive, Rocky Mountain National Park, James Peak and the Indian Peaks Wilderness all provide an almost endless list of hiking, biking and camping opportunities. 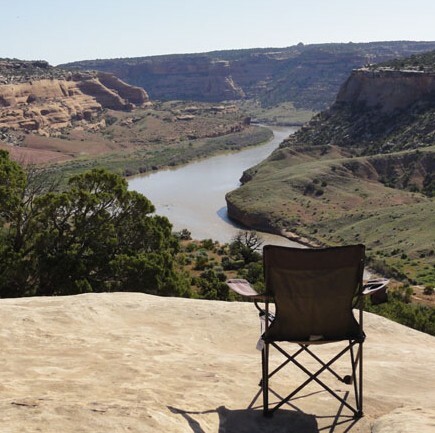 But with millions of visitors swarming these popular spots each year, it’s sometimes hard to bliss out in solitude at some campgrounds on a summer weekend. The quest for that super-secret campsite becomes the stuff of legend. Roughly sketched maps passed down from Coloradoan to Coloradoan come with vague directives like “turn left past the old, abandoned mine.” Revealing those secret locations to the masses can garner a price on your head, but there are quite a few, lesser-known developed campsites that we can tell you about without risking a fatwa. For a quick escape from the city, cruise to the Deer Creek Campground about 10 miles northwest of Bailey. Located in Pikes National Forest less than an hour’s drive from Denver, it’s full of tall trees and running creeks surrounding sites that rarely full. Hikers have easy access from here to the Mount Evans Wilderness area. Take County Road 43 north for 8 miles off of US Highway 285. Call 303-275-5610 for info.